I work with buyers and sellers, striving to make their transactions go as smoothly as possible. 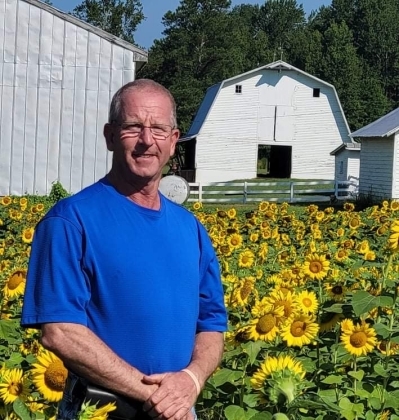 I am a lifelong resident of Dinwiddie County and was a successful farmer for 25 years. In 2001, I decided it was time for a change and got my real estate license. I've been a full time agent with Long and Foster in Colonial Heights since July of 2001. The Colonial Heights Long and Foster office is among the top in the Tri-Cities and surrounding counties area in terms of listings and sales volume. Our office has approximately 35 agents. The same hard work and dedication that enabled me to be a successful farmer has served me well to become a successful real estate agent. In 2011 my sales volume was the second highest among SVAR's approx. 450 members. My number of closed transactions was the highest in Long & Foster's Richmond Region which includes 15 offices and 750 agents. Other 2011 Tri-Cities Southpark Long & Foster office awards include: Top Producer, Top Producer/Units, Top Lister, Top Salesperson, Top Salesperson/Volume and Outstanding Service award. In 2012, I was awarded with the Top "Listing" Producer of the Office, Top Producer of the Office, Top Producer of the Office by Settled Units, the Outstanding Service Award and SVAR's Platinum Award. When you decide that you'd like to buy or sell a home or land in the Dinwiddie, Colonial Heights, Petersburg, Prince George, Chesterfield, Sussex areas, please give me a call because "You Matter Most"
This brick, 3 bedroom, 2 bath, rancher is a great one owner home is PRICED TO SELL. The heat/cooling system is only 3 years old with a 10 year warranty. The living, dining and bedrooms all have gorgeous hardwood floors. There is a spacious family room which enters a den and a sunroom. This home has an air filtration system, a large storage shed with electricity, a fenced back yard and has beautiful, mature landscaping with blooming Dogwood and Azaleas. The exterior is low maintenance brick, woodwork wrapped in vinyl, gutters and replacement windows. Check this one out before it is gone.